The Committee on Rules of Practice and Procedure will hold a meeting on June 6, 2016, which will continue the morning of June 7, 2016, if necessary. The meeting will be open to public observation but not participation. An agenda and supporting materials will be posted at least 7 days in advance of the meeting at: http://www.uscourts.gov/rules-policies/records-and-archives-rules-committees/agenda-books. Time: 8:30 a.m. to 5:00 p.m.
Thurgood Marshall Federal Judiciary Building, Mecham Conference Center, One Columbus Circle NE., Washington, DC 20544. Rebecca A. Womeldorf, Rules Committee Secretary, Rules Committee Support Office, Administrative Office of the United States Courts, Washington, DC 20544, telephone (202) 502-1820. A PDF copy of this notice is available by clicking here. Conference of the United States. ACTION: Notice of open meeting. least 7 days in advance of the meeting at: http://www.uscourts.gov/rules-policies/records-and-archives-rules-committees/agenda-books. DATES: Date: April 14-15, 2016. ADDRESSES: Tideline Ocean Resort & Spa, Malcolm’s Ball Room, 2842 S.
Ocean Boulevard, Palm Beach, FL 33480. United States Courts, Washington, DC 20544, telephone (202) 502-1820. The following Judicial Conference committee chairs also attended the Conference session: Circuit Judges Steven M. Colloton, Julia Smith Gibbons, Diarmuid F. O’Scannlain, Reena Raggi, John M. Rogers, Anthony J. Scirica, Jeffrey S. Sutton, and Timothy M. Tymkovich; District Judges Nancy F. Atlas, Robert Holmes Bell, Catherine C. Blake, David G. Campbell, Rosemary M. Collyer, Sidney A. Fitzwater, Joseph H. McKinley, Jr., J. Frederick Motz, Lawrence L. Piersol, Joel A. Pisano, Michael A. Ponsor, Julie A. Robinson, and Richard W. Story; and Bankruptcy Judge Eugene R. Wedoff. Attending as the bankruptcy judge and magistrate judge observers, respectively, were Bankruptcy Judge Michael E. Romero and Magistrate Judge Thomas C. Mummert, III. Sam Phillips of the Fourth Circuit represented the circuit executives. District Judge John D. Bates, Director of the Administrative Office of the United States Courts, attended the session of the Conference, as did Jill C. Sayenga, Deputy Director; Robert K. Loesche, General Counsel; Laura C. Minor, Assistant Director, and Jeffrey A. Hennemuth, Deputy Assistant Director, Judicial Conference Executive Secretariat; Cordia A. Strom, Assistant Director, Legislative Affairs; and David A. Sellers, Assistant Director, Public Affairs. District Judge Jeremy D. Fogel, Director, and John S. Cooke, Deputy Director, Federal Judicial Center, and Chief District Judge Patti B. Saris, Chair, and Kenneth P. Cohen, Staff Director, United States Sentencing Commission, were in attendance at the session of the Conference, as was Jeffrey P. Minear, Counselor to the Chief Justice, and Tonia Jones Powell, Acting Supreme Court Legal Counsel. Attorney General Eric H. Holder, Jr., addressed the Conference on matters of mutual interest to the judiciary and the Department of Justice. Senators Patrick J. Leahy and Mike Johanns and Representative John S. Conyers, Jr., spoke on matters pending in Congress of interest to the Conference. activities. Judge Gibbons, Chair of the Committee on the Budget, presented a special report on budgetary matters. the Judicial Conference and to the entire federal judiciary. Fiscal Year 2013 Final Financial Plans. Following enactment of the Consolidated and Further Continuing Appropriations Act of 2013 (Pub. L. No. 113-6), which funded the judiciary in fiscal year (FY) 2013 at approximately FY 2012 levels, less a 0.2 percent rescission and less sequestration cuts mandated by the Budget Control Act of 2011, the Executive Committee, at an April 2013 video conference, approved final FY 2013 financial plans for the Salaries and Expenses (S&E), Defender Services, Court Security, and Fees of Jurors and Commissioners accounts. The final financial plans incorporated emergency measures that were developed by the Executive Committee (acting in consultation with Conference committees and Administrative Office advisory councils) to address the deep, across-the-board cuts resulting from sequestration. With regard to the final financial plan for the Defender Services account, the Executive Committee took steps to address concerns that sequestration and other budget cuts could result in lengthy furloughs of federal defender organization staff and deferrals of panel attorney payments. Initially, the Executive Committee directed that funds in the final FY 2013 plan be allocated in the Defender Services account to limit to 15 the number of days staff would be furloughed for the remainder of FY 2013, and to also limit to 15 the number of days panel attorney payments would be deferred from FY 2013 to FY 2014. However, noting that federal defender offices have addressed the severe budget cuts in different ways, not just through furloughs, the Defender Services Committee asked the Executive Committee to reconsider the allocation of the $6.4 million that was directed to limiting furloughs to 15 days, so that some relief could be provided to all federal defender offices, not just to those with the highest number of anticipated furlough days. At a May 2013 video conference, the Executive Committee agreed to modify allocation of the $6.4 million so that staff furloughs would be limited to no more than 20 days for the remainder of FY 2013. The remaining funds (minus a small reserve) would be distributed pro rata, based on each federal defender organization’s approved FY 2013 budget, to those offices that already anticipated furloughs of 20 or fewer days, with the proviso that the latter offices be encouraged to use the money to further reduce furlough days. The Executive Committee also requested a study to better determine the needs of the federal defender organizations. Anticipated Shortfall in Fiscal Year 2014 Defender Services Account. At the request of the Defender Services Committee, the Executive Committee, at its August 2013 meeting, discussed how to address an anticipated shortfall in FY 2014 funding for the Defender Services account. Determining that the impending shortfall constituted an emergency requiring immediate action to preserve the appointed counsel criminal defense function performed in the judiciary, the Executive Committee made a commitment to ensure sufficient funding in FY 2014 to maintain virtually 100 percent of the projected nationwide on-board staffing of federal defender organizations as of September 30, 2013. Absent additional funding or other steps to reduce funding requirements, this would be achieved by deferring up to four weeks of panel attorney payments from FY 2014 to FY 2015, and by a temporary $15.00 per hour reduction (authorized by the Executive Committee at its August 2013 meeting on an emergency basis on behalf of the Judicial Conference) in the panel attorney compensation rates for capital and non- capital case representations, which the Conference has otherwise authorized pursuant to 18 U.S.C. §§ 3599(g)(1) and 3006A(d)(1), for work performed between September 1, 2013 and the end of FY 2014.
percent from the FY 2013 financial plan and a $334.7 million shortfall from current requirements. Therefore, in approving the interim S&E plan, the Executive Committee continued (with some modifications) several of the emergency sequestration measures adopted for FY 2013. The S&E plan also incorporates a strategy for distributing allotments to court units. For the Defender Services account, the interim plan implements decisions made by the Executive Committee at its August 2013 meeting (see supra) by including funding to maintain projected on-board federal defender organization staffing nationally as of the end of FY 2013, assuming deferral of panel attorney payments for approximately four weeks in September 2014, and incorporating the temporary reduction of $15 per hour in panel attorney rates for capital and non-capital representations that went into effect on September 1, 2013, and applies to work performed through September 30, 2014. Fiscal Year 2015 Federal Defender Organization Funding. Noting that the Judicial Resources Committee is currently developing a federal defender organization (FDO) staffing formula for implementation in FY 2016, the Executive Committee determined to review the methodology for allocating FDO funding at its February 2014 meeting so that potential interim funding alternatives might be considered before individual FY 2015 FDO budgets are formulated. • Approved on behalf of the Judicial Conference a recommendation from the Committee on Court Administration and Case Management to seek legislation abolishing one of the divisions in the Southern District of Mississippi and making other associated changes in the divisional structure of that district. • Endorsed on behalf of the Conference the Chief Justice’s selection of Judge John D. Bates of the United States District Court for the District of Columbia to serve as the Director of the Administrative Office, effective July 1, 2013. • Approved on behalf of the Conference a recommendation of the Committee on Space and Facilities to evaluate under the Asset Management Planning (AMP) process those projects on the current Five-Year Courthouse Project Plan that have not been so evaluated and are not approved for funding in fiscal year 2014 by the responsible Senate and House appropriations committees. • Approved on behalf of the Judicial Conference a resolution in recognition of Judge Thomas F. Hogan’s service as the Director of the Administrative Office from 2011-2013. • Approved technical, conforming, and non-substantive revisions to The Judicial Conference of the United States and Its Committees. • Reviewed Conference committees’ suggestions for potential legislative changes that might facilitate, or remove impediments to, cost containment, and requested that committees complete any additional research or coordination among committees required for these suggestions to be addressed on the merits during the next cycle of committee meetings. • Declined to recommend expanding the membership of the Committee on Judicial Security to include an Article III judge representative of the national courts. The Committee on Audits and Administrative Office Accountability reported that it assessed the impact of emergency budget reductions on the judiciary’s audit program for fiscal year 2013, and advised the Administrative Office on audit program priorities for 2013 and 2014. The Committee also considered measures to contain costs within the audit program. Independent audit firms briefed the Committee on cyclical audits of courts, federal public defender offices, community defender organization grantees, and Chapter 7 bankruptcy trustees, and on a special audit of a Chapter 13 bankruptcy trustee. timely implementation of the Act, in August 2005, the Executive Committee, acting on behalf of the Judicial Conference, adopted interim procedures for in forma pauperis waivers of chapter 7 filing fees (JCUS-SEP 05, p. 5). At this session, the Committee on the Administration of the Bankruptcy System recommended final procedures that take into account case law developments and practical experiences in the courts since BAPCPA was enacted and that expand the waiver procedures to cover fees other than filing fees. The Judicial Conference approved the final in forma pauperis procedures, and authorized the Bankruptcy Committee to make non-substantive, technical, or conforming revisions to the procedures, as necessary. At its March 2013 session, the Judicial Conference agreed to recommend to Congress 31 new bankruptcy judgeships in 17 judicial districts and conversion of 20 of 34 existing temporary judgeships to permanent status, with language in the transmittal letter to acknowledge the dire fiscal realities in the federal government and that some prioritization may have to occur (JCUS-MAR 13, pp. 7-8). Given the unlikelihood that comprehensive judgeship legislation would be enacted in the near future, later that month, the Executive Committee asked the Bankruptcy Committee to consider how to prioritize the need for judgeships within the Conference’s overall judgeship recommendation to Congress. Based on weighted caseload, the Committee recommended that any or all of the 20 conversions of temporary judgeships to permanent status should be pursued on a priority basis. But recognizing that legislation to secure all 20 conversions may also be unattainable, the Committee developed a methodology to further prioritize judgeship requests by identifying courts whose need for judgeships would be considered an emergency. To ensure that the list of districts that have emergency needs is based on the most up-to-date data available, the Committee recommended that it be consulted at the time a legislative opportunity to pursue judgeships arises. The Conference adopted the Committee’s recommendation to authorize the Director of the Administrative Office, in consultation with the Bankruptcy Committee, and subject to the approval of the Executive Committee, to seek legislation to convert to permanent status any or all of the temporary bankruptcy judgeships that are included in the 2013 Judicial Conference bankruptcy judgeship recommendations. The Committee on the Administration of the Bankruptcy System reported that it recommended to the Intercircuit Assignments Committee, for consideration by the Judicial Conference, administrative procedures to implement the latter committee’s responsibility to review future intercircuit assignments of bankruptcy judges (see infra, “Guidelines for the Intercircuit Assignment of Bankruptcy and Magistrate Judges,” p. 22). The Bankruptcy Committee recommended that the Budget Committee approve a FY 2015 budget request that provides current funding levels for bankruptcy judges, recalled bankruptcy judges, and temporary law clerks and restoration of funding for the bankruptcy administrator program that was lost as a result of sequestration. The Bankruptcy Committee expressed opposition to the idea of abolishing bankruptcy appellate panels because it would not result in substantial cost savings or efficiencies and would impose a significant burden on the resources of the district courts and courts of appeals. Taking into consideration the difficult budget climate as well as the impact of sequestration cuts required by the Budget Control Act of 2011 on court operational requirements, the Budget Committee made adjustments to the FY 2015 budget requests of the program committees to bring the overall appropriation request down from $6,771 million (a 6.8 percent increase over assumed appropriations for fiscal year 2014) to $6,708.8 million (a 5.8 percent increase over fiscal year 2014 assumed appropriations). The Judicial Conference approved the Budget Committee’s fiscal year 2015 budget request with one modification (an additional $21.0 million request for the Court Security account). The modification was taken up as new business following the Judicial Sercurity Committee’s withdrawal on the Conference floor of a recommendation to reduce overnight and weekend courthouse security coverage (see infra, “Courthouse Security Coverage,” p. 27). The Conference approved the budget request subject to amendments necessary as a result of (a) new legislation, (b) actions of the Judicial Conference, or (c) any other reason the Executive Committee considers necessary and appropriate. To provide circuits with a financial incentive to begin closing satellite libraries, the Budget Committee recommended modification to the reprogramming rules under the budget decentralization program. Specifically, the Committee recommended that if a circuit judicial council agrees to close a satellite library, reprogramming of 100 percent of the law book funding associated with that library should be permitted on a one-time basis to other courts of appeals accounts, as well as to the circuits’s tenant alterations and temporary emergency fund accounts, subject to the approval of the chief circuit judge or his/her designee. In addition, regardless of whether a satellite library is closed, it is recommended that a court of appeals should be permitted to reprogram up to 50 percent of its annual law book allotment to other courts of appeals accounts, as well as to the circuit’s tenant alterations and temporary emergency fund accounts, subject to the approval of the chief circuit judge or his/her designee. Funds would continue to be prohibited from being reprogrammed from other areas into law books. The Judicial Conference approved the Committee’s recommendation beginning with the fiscal year 2014 financial plan, effective October 1, 2013. The Committee on the Budget reported that it discussed possible incentives to accelerating cost containment, particularly in the areas of libraries, space, and probation and pretrial services. The Committee also discussed the impact of sequestration on judiciary operations. Members discussed progress made to date on congressional outreach and education, including partnership activities with the Judicial Branch Committee, as well as strategies for obtaining a significant funding anomaly (increase) in a full-year continuing resolution for fiscal year 2014, should Congress enact such a continuing resolution. The Committee on Codes of Conduct reported that since its last report to the Judicial Conference in March 2013, the Committee received 24 new written inquiries and issued 22 written advisory responses. During this period, the average response time for requests was 15 days. In addition, the Committee chair responded to 26 informal inquiries, individual Committee members responded to 124 informal inquiries, and Committee counsel responded to 389 informal inquiries. a. Direct each circuit judicial council, working with its circuit librarians, library committees, and relevant judges, to review headquarters and satellite libraries to assess the continuing need for each library. If a judicial council determines that a library remains essential, the council must explore opportunities to reduce the size of the library. The assessments should include consideration of specific factors identified by the Committee. b. Direct each circuit judicial council to report the results of its assessments to the chairs of the Court Administration and Case Management Committee, the Space and Facilities Committee, and the Judicial Resources Committee by March 31, 2014, and, if there are no closures or reductions taken or planned, provide an explanation as to why it is not efficient or practical to do so for each library. The Conference adopted the Committee’s recommendation. Judicial Conference adopted, amendments to the judiciary’s policy on legal research resources available to judges (Guide to Judiciary Policy, Vol. 21, Ch. 3) to provide that judges co-located with other judges, but not a library, work with their librarian to ensure that only primary materials and limited secondary materials are acquired, and that efforts are made to share materials across chambers to avoid duplication. Court of Appeals Docketing Fee. On recommendation of the Committee, the Judicial Conference amended Item 1 of the Court of Appeals Miscellaneous Fee Schedule to raise the fee for docketing a case on appeal or review, or docketing any other proceeding, from $450 to $500, effective December 1, 2013. This increase is similar to the $50 administrative fee recently adopted for civil cases (JCUS-SEP 12, p. 13) and the long-standing administrative fee for bankruptcy cases. Motions for Selling Property Free and Clear of Liens. The Committee recommended that the Conference amend Item 19 of the Bankruptcy Court Miscellaneous Fee Schedule to establish a new fee of $176 in bankruptcy cases for the filing of motions for the sale of property free and clear of liens under 11 U.S.C. § 363(f). The new fee is intended to reflect the significant workload burdens imposed on courts to resolve these motions. The Conference adopted the new fee, effective December 1, 2013. Records Retrieval Fee. The Committee recommended that the Judicial Conference amend Item 7 of the Court of Appeals and District Court Miscellaneous Fee Schedules, Item 12 of the Bankruptcy Court Miscellaneous Fee Schedule, Item 11 of the United States Court of Federal Claims Fee Schedule, and Item 4 of the Judicial Panel on Multidistrict Litigation Fee Schedule to increase the records retrieval fee by $11 (from $53 to $64) for the first box requested from a federal records center or other storage location removed from the place of business of the court, and to create a new fee of $39 for each additional box requested. These fees are intended to recoup some of the rising shipping and processing costs for handling paper records. The Conference adopted the Committee’s recommendation, effective December 1, 2013. For a check paid into the court which is returned for lack of funds any payment returned or denied for insufficient funds, $53. In September 2010, the Judicial Conference approved a three-year pilot program in 14 courts to evaluate the effect of cameras in district court courtrooms, video recordings of proceedings therein, and publication of such video recordings (JCUS-SEP 10, pp. 11-12). Due to delayed start dates in some courts, only half of the pilot districts will have participated for three years by the end date of the pilot program. In order to provide most pilot districts with three full years of experience, the Committee recommended, and the Conference approved, a one-year extension of the cameras-in-the­ courtroom pilot project, to run through July 18, 2015. Circuit Mediation Records. Circuit mediation offices are units of the courts of appeals, but their records are maintained separately from the courts’ case files for confidentiality purposes. The Committee recommended that the Judicial Conference amend Item B(3) of Records Disposition Schedule 1 to treat circuit mediation records in the same manner as staff attorney records, which are disposed of as directed by the court and are not transferred to federal records centers. The Conference agreed and authorized the revised schedule to be transmitted to the National Archives and Records Administration (NARA) for concurrence. Bankruptcy Administrator Records. Bankruptcy administrators operate in the six judicial districts in Alabama and North Carolina, performing functions similar to those assigned to United States trustees, including overseeing the administration of bankruptcy cases and maintaining a panel of private trustees in each district. The Court Administration and Case Management Committee, in consultation with the Bankruptcy Committee, recommended that the Judicial Conference adopt a records disposition schedule for bankruptcy administrator records (new Item D(2) of Records Disposition Schedule 2) that mirrors the dispositions established by the executive branch for United States trustee records. The Conference approved the Committee’s recommendation and authorized the revised schedule to be transmitted to NARA for concurrence. Federal Defender Organization Records. On recommendation of the Committee, the Judicial Conference approved a records disposition schedule for the administrative (i.e., non-case-related) records of federal defender organizations, to be incorporated in both Records Disposition Schedules 1 and 2 as a new Item D(1). The schedule was developed in consultation with the Defender Services Committee and the AO’s Defender Services Advisory Group, and with substantial input from the defender services community. The Conference authorized the revised schedules to be transmitted to NARA for concurrence. Criminal Case Files. The Committee recommended amendments to the disposition schedule for criminal case files (Item A(6) of Records Disposition Schedule 2) to ensure that the files, particularly in cases with lengthy sentences, are available for purposes of appeal. The Conference approved the Committee’s recommendation and authorized the revised schedule to be transmitted to NARA for concurrence. Territorial District Court Files. In September 1979, the Judicial Conference approved a records disposition schedule for territorial district courts that provided for the permanent preservation of civil case files pertaining to domestic relations, adoption, mental incompetence, and probate matters, but treated all other civil case files in those courts in the same way as civil district court files. Subsequently, the guidance for territorial courts was moved to its own section (currently Item 12 of Records Disposition Schedule 2), and the guidance was inadvertently changed to make all records from those courts permanent. In order to return to the original intention for territorial district court cases, the Committee recommended that the Judicial Conference amend Item A(12) to indicate that it is superseded by the provisions that apply to district court case files generally, and to amend Item A(7)(a) to provide for the permanent retention of domestic relations, adoption, mental incompetence, and probate records of the territorial district courts. The Conference approved the revisions and authorized the revised schedule to be transmitted to NARA for concurrence. 4b. Do you read, write, and understand the English language with a degree of proficiency sufficient to complete this questionnaire? Federal law requires you to indicate your race in order to avoid discrimination in jury selection. (See note on reverse side.) Please fill in completely one or more circles that describe your race. Save time and money by completing this form on the court’s website. e. Question 13 (Education) and Question 15 (Marital Status) are deleted. that seek changes to patent case management in federal courts. The proposed Justice Safety Valve Act of 2013 (S. 619, 113th Cong.) would grant judges greater flexibility in sentencing federal crimes in cases where the judges determine that the specified mandatory minimum punishment is unnecessary. The Judicial Conference has long been opposed to mandatory minimum sentences and supports their repeal (e.g., JCUS-SEP 95, p. 47; JCUS-SEP 93, p. 46; JCUS-MAR 93, p. 13; JCUS-SEP 91, p. 56; JCUS­ SEP 90, p. 62; JCUS-MAR 90, p. 16; JCUS-SEP 81, pp. 90, 93; JCUS­ APR 76, p. 10; JCUS-OCT 71, p. 40; JCUS-MAR 65, p. 20; JCUS-MAR 62, p. 22; JCUS-SEP 61, p. 98; JCUS-SEP 53, pp. 28-29). On recommendation of the Committee, the Judicial Conference agreed to seek legislation, such as the Justice Safety Valve Act of 2013, that is designed to restore judges’ sentencing discretion and avoid the costs associated with mandatory minimum sentences. Section 3583(e)(1) of title 18, U.S. Code, requires at least one year of supervised release after incarceration before the supervision can be terminated early, and specifies that early termination may occur only when warranted by the conduct of the defendant released and the interest of justice. However there are cases where early termination would be appropriate prior to one year, and based on factors independent of the offender’s conduct, for example where defendants are physically incapacitated, dying, or aged to the point that they are no longer a risk to the community and cannot meaningfully engage in the supervision process. Noting that it makes little policy or financial sense to keep such cases under supervision, the Committee recommended that the Judicial Conference seek legislation that permits the early termination of supervision terms, without regard to the limitations in 18 U.S.C. § 3583(e)(1), for an inmate who is compassionately released from prison under section 3582(c) of that title. The Conference adopted the Committee’s recommendation. The Committee on Criminal Law reported that pursuant to its authority to approve technical, conforming, and non-controversial changes to monographs for probation and pretrial services officers (JCUS-MAR 06, p. 15), it approved revisions to Monograph 113, The Federal Location Monitoring Program, that address implementation and monitoring protocols. In addition, the Committee shared with all chief district judges a report on the early termination of probation and supervised release that confirmed that the judiciary’s policies on early termination allow probation officers to make responsible decisions about which offenders to recommend for early termination. More than 7,000 offenders were terminated early from supervision in fiscal year 2012, saving the judiciary more than $7.7 million. The Committee continued its discussion with the United States Sentencing Commission on the Commission’s report to Congress on post-Booker sentencing. The Committee on Defender Services reported that it met with Deputy Attorney General James Cole, who expressed an interest in exploring ways to address Department of Justice policies and practices that are having a significant cost impact on the Defender Services program (e.g., discovery issues and the Department of Justice non-death penalty authorization protocol). The Committee approved a training spending plan for FY 2014 that, due to budgetary limitations, reflects a reduction of approximately 33 percent from the original FY 2013 spending authorizations. The Committee reviewed the final report of a task force that studied the implementation and effects of the federal defender organization case weights methodology in selected districts. Continue to seek necessary funding and resources to enable the federal courts to fairly and timely carry out the responsibilities that will be imposed by comprehensive immigration reform legislation, in keeping with the judiciary’s constitutionally mandated mission to render justice. 1983 remedies in specified cases. The Committee was also briefed on proposals that would create expedited procedures for certain “small” copyright and patent infringement cases. In addition, the Committee was informed that the Federal Judicial Center launched a new website in April 2013, which will serve as a clearinghouse for information on the coordination and management of related cases pending simultaneously in state and federal courts. The website is the culmination of a project involving the Federal Judicial Center, the Conference of Chief Justices, the National Center for State Courts, and the Committee. The Committee on Financial Disclosure reported that it determined to establish specific procedures for securing filer compliance with all reporting requirements and late filing assessments. It also reported that the use of the Financial Disclosure Online Filing System (FiDO) has resulted in significant savings in printing, copying, and mailing costs. As of July 8, 2013, the Committee had received 4,074 annual financial disclosure reports and certifications for calendar year 2012, including 1,264 reports and certifications from Supreme Court justices, Article III judges, and judicial officers of special courts; 357 reports from bankruptcy judges; 534 reports from magistrate judges; and 1,919 reports from judicial employees. 2014 update to the Long Range Plan for Information Technology in the Federal Judiciary. Funds for the judiciary’s information technology program will be spent in accordance with this plan. The Committee on Information Technology reported that it identified the specific expenses within the operations and maintenance portion of the judiciary’s information technology (IT) budget that must be funded to continue to provide the basic capabilities now in place. If fiscal year 2014 funding remains at the sequestration level, only these expenses will be funded; no funding will be available for other operations and maintenance expenses, strategic investments, or development and enhancement efforts. In light of attacks on certain of the judiciary’s public websites and to strengthen the judiciary’s security posture, the Committee endorsed national IT security policies that provide for courts to install intrusion protection software, to have public websites scanned for vulnerabilities upon initial deployment and whenever software or system-level changes are made, and to resolve high-risk vulnerabilities in a timely manner. The Committee on Intercircuit Assignments reported that it recommended, and the Chief Justice approved, 107 intercircuit assignments undertaken by 89 Article III judges from January 1, 2013, to June 30, 2013. During this time, the Committee continued to disseminate information about intercircuit assignments and to aid courts requesting assistance by identifying and obtaining judges willing to take assignments. The Committee on International Judicial Relations reported on its involvement in rule of law and judicial reform activities throughout the world, highlighting activities in East Asia and the Pacific, Europe and Eurasia, Latin America, the Middle East and North Africa, and South and Central Asia. The Committee also received reports on rule of law activities from the Departments of State, Justice, and Commerce, the United States Agency for International Development, the United States Patent and Trademark Office, the Open World Program at the Library of Congress, the World Bank, and the Federal Judicial Center, as well as from a liaison for federal court administrators. The Committee also reported on the briefings for foreign delegations of jurists and judicial personnel provided at the Administrative Office. On recommendation of the Committee on the Judicial Branch, the Judicial Conference approved amendments to sections 220.30.10(g)(2)(A), 250.20.10, and 250.40.40 of the Travel Regulations for United States Justices and Judges, Guide to Judiciary Policy, Vol. 19, Ch. 2, to ensure that the Travel Regulations are consistent with Internal Revenue Service regulations by specifying that reimbursement for meal costs incurred on same-day travel is prohibited in certain circumstances and considered taxable income when allowed. The Committee on the Judicial Branch reported that it endorsed the sending of a list of “best practices” on travel (compiled from the circuit executives) to all judges, court unit executives, and chambers administrative staff as a reminder of, and tangible advice for, cost containment on travel. The memorandum and list were sent in August 2013. The Committee also reported on its continuing congressional outreach efforts. Committee members met with members of the Senate Judiciary Committee and their staffs, and the ranking member of the House Judiciary Committee visited the Committee’s June 2013 meeting and spoke with the Committee about the state of relations between the branches. The Committee on Judicial Conduct and Disability reported that it has under advisement two petitions for review under the Judicial Conduct and Disability Act, 28 U.S.C. §§ 351-364. In addition, the Committee and its staff continue to address courts’ inquiries regarding the judicial misconduct and disability complaint process. Mexico, and Eastern District of Texas. The Conference adopted the Committee’s recommendation. District Clerks’ Offices. On recommendation of the Committee, the Judicial Conference adopted a new staffing formula for district clerks’ offices to be applied starting in fiscal year 2014, which provides 6,410.93 full-time equivalent staff, based on statistical year 2012 workload, with a one-to-one ratio of courtroom deputies to judges in the district courts. The Committee also recommended, and the Conference approved, the use of five-year averages rather than single-year values when computing case counts for staffing formula calculations for transferred multidistrict litigation cases, patent cases in district courts, and Chapter 11 mega-cases in bankruptcy courts. The new staffing formula for district clerks’ offices reduces full staffing requirements by 11.83 percent based on statistical year 2012 workload, but results in 768.57 more full- time equivalent staff than were onboard as of the end of fiscal year 2013. 2015, and 2016) from the new staffing formula for district clerks’ offices, and 17.2 full-time equivalent staff (40.8 aggregate full-time equivalent staff for 2014, 2015, and 2016) from the current staffing formula for probation and pretrial services offices. The judiciary’s Voluntary Separation Incentive Payment policy provides that a lump-sum payment of up to $25,000 (also know as a “buyout”), can be offered as an incentive for employees to separate voluntarily when an organization is restructuring, reorganizing, or downsizing the workforce. Unit executives and chief deputies/deputy chiefs in the Judiciary Salary Plan have not historically been eligible for such payments, in part because their positions have been considered critical. However, the judiciary’s current fiscal situation has increased the likelihood that offices with unit heads will consolidate, resulting in those positions and related deputy positions becoming surplus. The Committee therefore recommended that the Judicial Conference approve a change to the Voluntary Separation Incentive Payment policy to include unit executive and chief deputy/deputy chief Judiciary Salary Plan positions as eligible for a buyout payment using centralized funding when such positions are targeted for elimination as a result of plans to consolidate units. Funding for buyouts for court-funded Judiciary Salary Plan positions would still be provided from decentralized funds. The Conference adopted the Committee’s recommendation. 2015, based on the Spanish language interpreting workload in that court. Due to the projected lack of funding in the Court Security account in fiscal years 2014 and 2015, the Committee on Judicial Security recommended the following measures to contain costs: reducing overnight and weekend courthouse security coverage, eliminating 67 court security officer (CSO) positions in overstaffed districts, reducing by 50 hours in 2014 and 25 hours in 2015 the annual work hours allocated to all CSO positions nationwide, and reducing security systems and equipment funding by $11.4 million below the congressional budget request for FY 2014, and $5.5 million below the budget request for FY 2015. After discussion of the portion of the recommendation regarding after-hours guarding, the Conference agreed to permit the Committee to withdraw its recommendation to reduce overnight and weekend courthouse security coverage. The Conference approved without discussion the Committee’s recommendations to eliminate CSO positions in overstaffed districts, reduce annual work hours allocated to CSO positions nationwide in FY 2014 and FY 2015, and to reduce funding in FY 2014 and FY 2015 for security systems and equipment. The Committee on Judicial Security reported that it discussed whether there should be a national policy on entry screening practices for court personnel. After considering the results of a recent survey of the entry screening practices at all primary courthouses, the Committee determined that such a policy should be made at the local level by chief judges and security committees, in consultation with district U.S. marshals. The Committee also endorsed, in consultation with the Committee on Space and Facilities, five locations to undergo capital security studies for potential participation in the Capital Security Program in FY 2014 and/or FY 2015.
ii. Redesignate the location of the part-time magistrate judge position at Gallup as Farmington. On recommendation of the Committee, the Judicial Conference amended the Regulations of the Judicial Conference of the United States Establishing Standards and Procedures for the Appointment and Reappointment of United States Magistrate Judges to (a) specify in sections 420.60.20 and 420.60.30(c) the role of the chief judge when there is no concurrence among voting judges on appointment and reappointment matters; and (b) require courts under sections 420.30.10 and 420.50.10(a) to issue an order establishing a merit selection panel and to submit a copy of the order to the Administrative Office at the time the order is entered and before the panel takes any action. The Committee on the Administration of the Magistrate Judges System reported that, pursuant to Judicial Conference policy regarding the review of magistrate judge position vacancies (JCUS-SEP 04, p. 26), for the period between its December 2012 and June 2013 meetings, it approved, through its chair, filling 16 full-time magistrate judge position vacancies and one part-time magistrate judge position vacancy in 14 district courts. At its June 2013 meeting, the full Committee considered nine requests to fill magistrate judge position vacancies and approved filling seven. The Committee agreed to recommend to the Intercircuit Assignments Committee proposed revised guidelines governing the intracircuit and intercircuit assignment of magistrate judges (see supra, “Guidelines for the Intercircuit Assignment of Bankruptcy and Magistrate Judges,” p. 22). The Committee also agreed to revise the document entitled “Suggestions for Utilization of Magistrate Judges” regarding the issue of automatic assignment of objections to reports and recommendations to the magistrate judges who submitted them, a practice of concern to the Committee. The Committee on Rules of Practice and Procedure submitted to the Judicial Conference a proposed amendment to Appellate Rule 6 (Appeal in a Bankruptcy Case From a Final Judgment, Order, or Decree of a District Court or Bankruptcy Appellate Panel), together with a Committee Note explaining its purpose and intent. The Conference approved the amendment and agreed to transmit it to the Supreme Court for consideration with a recommendation that it be adopted by the Court and transmitted to Congress in accordance with the law. 1Following the Conference session, the Committee on Rules of Practice and Procedure requested that the Conference withdraw, before distribution to the justices, the proposals to amend Bankruptcy Rules 7008, 7012, 7016, 9027, and 9033 that implicated an issue to be considered by the Supreme Court in Executive Benefits Insurance Agency v. Arkison, 702 F.3d 553 (9th Cir. 2012), cert. granted, 133 S. Ct.
2880 (mem.) (2013) (No. 12-1200). The Executive Committee agreed to act on behalf of the Conference to withdraw the proposed amendments and recommit them to the Rules Committee for further consideration in light of the Court’s decision in that case. The Committee also submitted to the Conference proposed revisions to Official Bankruptcy Forms 3A (Application for Individuals to Pay the Filing Fee in Installments), 3B (Application to Have the Chapter 7 Filing Fee Waived), 6I (Schedule I: Your Income), 6J (Schedule J: Your Expenses), 6-Summary (Summary of Schedules), 23 (Debtor’s Certification of Completion of Postpetition Instructional Course Concerning Personal Financial Management), and 27 (Reaffirmation Agreement Cover Sheet). The Conference approved the revised forms to take effect on December 1, 2013. 34 (Arresting Judgment), and 58 (Petty Offenses and Other Misdemeanors), together with Committee Notes explaining their purpose and intent. The Conference approved the amendments and agreed to transmit them to the Supreme Court for consideration with a recommendation that they be adopted by the Court and transmitted to Congress in accordance with the law. The Committee on Rules of Practice and Procedure submitted to the Judicial Conference proposed amendments to Evidence Rules 801 (Definitions That Apply to This Article; Exclusions from Hearsay) and 803 (Exceptions to the Rule Against Hearsay — Regardless of Whether the Declarant is Available as a Witness), together with Committee Notes explaining their purpose and intent. The Conference approved the amendments and agreed to transmit them to the Supreme Court for consideration with a recommendation that they be adopted by the Court and transmitted to Congress in accordance with the law. 427, and Civil Rules 1, 4, 16, 26, 30, 31, 33, 34, 36, 37, 84, and Appendix of Forms. 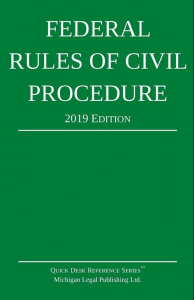 The proposed rules amendments – along with the proposed amendments to Civil Rules 6 and 55 previously approved for publication – were published for public comment in August 2013. The comment period closes February 15, 2014.
is space holdings within each circuit as of the beginning of FY 2013.
any new space reduction policy will be implemented. FY 2015 budget request for the space and facilities program, which included a request for funding to implement the Committee’s space reduction program. The Committee was updated on the space allotment program adopted by the Conference at its September 2012 session (JCUS-SEP 12, p. 32), which provides directly to a court unit that releases space a funding allotment equal to one year of rent for that space. Many courts have received allotments and the program is successfully focusing courts on space reduction. The Committee also discussed the status of the Capital Security Program, noting that a project in St. Thomas, Virgin Islands was selected to participate in the program for FY 2013, and several locations were selected for capital security studies for potential participation in the program in future years, contingent on funding. All of the foregoing recommendations that require the expenditure of funds for implementation were approved by the Judicial Conference subject to the availability of funds and to whatever priorities the Conference might establish for the use of available resources.